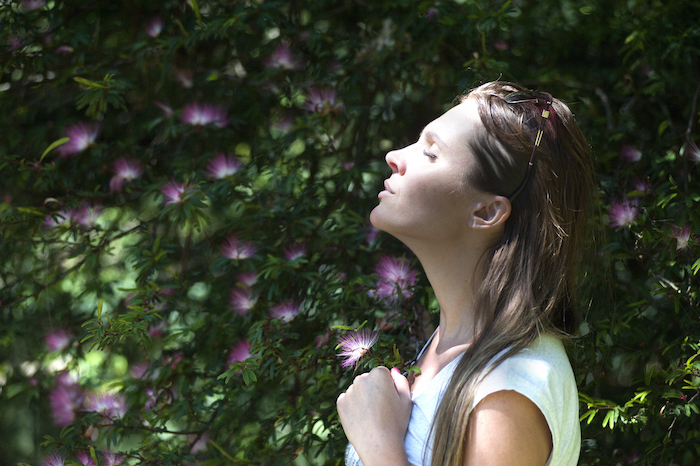 Did you know that simply slowing your breathing can have a settling effect on your nervous system, leading to a reduction of stress and anxiety symptoms? This is because tight, quick breathing is what we do when our fight/flight response is activated. If we’re afraid we tense our muscles and get ready to run. This was ok when humankind was first evolving – we needed to be ready to defend ourselves from predators. But today this response can feel like overdrive. The current stressor may be an angry boss or a dissatisfied customer but the deepest part of our brain doesn’t know the difference between this and an actual threat to our life. We end up taking our stress and worry home with us, ruminating, not sleeping, losing our temper, and on it goes. Though life was scary for our ancestors, once they had survived the immediate danger, perhaps by killing the predator, they were able to let go of their fight/flight response. But it’s harder for us. The tricky boss can’t just be defeated or escaped. He or she is there every day and our brains never get the signal that it’s safe to drop our guard. The good news is that due to the flexibility of our brains – known as neuroplasticity – we can control this. We can consciously tell ourselves that danger is past by changing our breathing. We don’t even have to think a new thought (although this helps too). Once our system feels our breathing slowing it rightly assumes that there is no immediate threat and allows us to settle and ground ourselves. Try this for practice: notice your breathing, how quick or slow it seems. Don’t try to change your in-breath but let your out-breath be just a second or two longer. If you’re walking you might find your pace changes. If you’re sitting you might find yourself settling back in the chair. Try and build this into your daily routine.